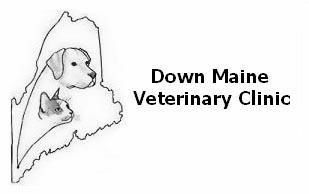 It has come to our attention that a case of H3N2 canine flu has been diagnosed (at another veterinary clinic) in York County. The H3N2 influenza strain is the one responsible for the outbreak in April that occurred in the Midwest and resulted in illness in over 1000 dogs and the death of at least 6. Avoid places where lots of dogs congregate such as boarding facilities, dog parks and doggy daycare. The virus is highly contagious and spreads through the air easily where there is a high concentration of dogs. WHAT ARE THE SIGNS OF THE FLU AND HOW IT IS DIAGNOSED? Any dog with respiratory signs (coughing, sneezing, runny eyes) that has recently been boarded or frequents dog parks or attends daycare will be considered a flu patient until proven otherwise. Idexx labs has a blood test that can confirm or rule out the presence of H3N2 influenza as well another strain of flu (H3N8) and other causes of canine respiratory disease. IS THERE A VACCINE FOR H3N2? Unfortunately no. There is a vaccine against the H3N8 strain and this vaccine is recommended to provide protection against that strain, but it is unlikely that it provides cross protection against H3N2. Please call us first! We will definitely see your dog but advanced warning will help us prevent the spread of the disease to other patients. When you arrive at the clinic, call us with your cell phone from your vehicle when you arrive so that our staff can instruct you to use a side entrance. Don't panic! Most dogs with the flu will likely survive. Some require hospitalization fluid and antibiotic support; others with milder signs are able to be treated at home.